The gig economy is becoming increasingly popular. It is a free market system in which workers are primarily engaged in temporary work on a freelance basis as opposed to full-time work on a permanent basis. Increased digitization has contributed to the furthering of this trend. 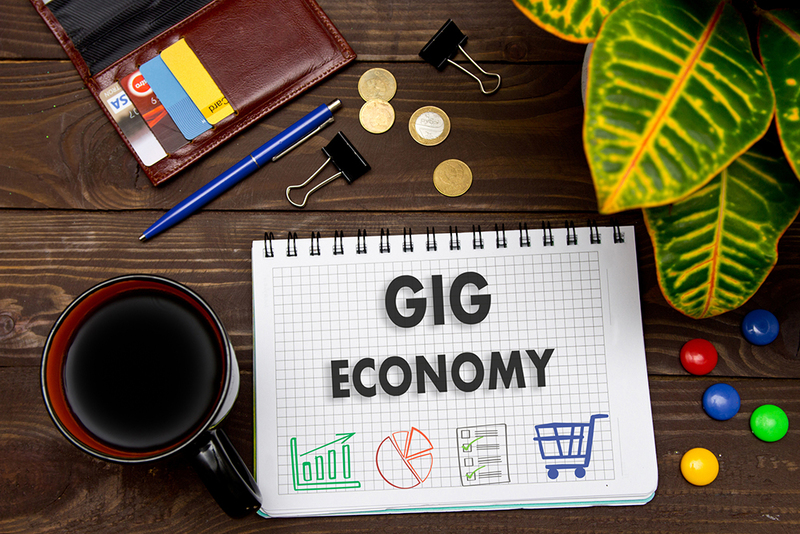 According to a research report by Intuit, the gig economy is estimated to constitute about 34% of the current workforce, which is expected to increase up to 43% by the year 2020. Retaining workers in such a dynamic market is increasingly becoming a challenge for the organizations. Here are five best practices that can be used for retaining talent in the current gig economy. The major attraction that the gig economy holds for the workforce is the lifestyle flexibility that is associated with freelance work. Skilled employees such as developers prefer to opt for freelance gigs as opposed to traditional roles within the organizations. It also makes financial sense to the organizations looking to hire developers, as their services are more reasonably priced than an in-house employee or a Web development company. By offering similar work flexibility to the employees, you can significantly increase the chances of retaining your talent. Work/life balance is the most important consideration for the current workforce while evaluating job opportunities. Make remote work a reality for your employees. Incorporating technology in your everyday processes allows the employees to get off the rigid 9–5 routine, gives them more autonomy over their work, and provides the organization with access to global talent rather than being limited to a certain geographic location. If remote working is not a possibility for your organization, encourage the employees to create definite boundaries separating their work life and personal life. Empowering the employees with the ability to switch off the work mode when they are with their friends and family ensures a healthy work/life balance. This results in greater work satisfaction and decreased chances of employee turnover to the gig economy. The biggest advantage of having a traditional job on a permanent basis is the benefits that come along with it. Freelancing, for all the flexibility it gives, cannot match up to full-time work when it comes to stability, job security, and the additional benefits that come with it. Of all the perks and benefits that working on a full-time basis offers, health insurance is probably the largest and most vital. Individual health insurance costs significantly more than employer health insurance. Not only does the organization have to pay part of the premium, but the premiums are also deducted on a pretax basis, which also provides tax benefits. The cost of premiums skyrockets if individual insurance is taken because individuals must pay the premiums in full. In addition to this, other benefits include paid sick leave, retirement benefits, and paid vacations. In order to retain the skilled talent within the organization, make sure you provide the employee benefits that they would sorely miss if they even consider making a switch to freelancing. Increase the health insurance options available to the employees as they climb within the organizational ranks. Provide additional benefits to the employees on a time-to-time basis. The sweet offerings in the form of perks and benefits to the employees would inhibit them from making the switch to the gig economy. Employees with the right skill set are an asset to the company, and the value of these employees can be further enhanced by equipping the workforce with training and development. Companies that offer training and development to their employees have a 20% lower turnover rate than those that don’t. Offering growth opportunities to the employees facilitates their development while simultaneously creating a richer workforce at your disposal. It also goes a long way in communicating how valuable they are and ensures increased engagement at work. It is also more economically feasible for the organization to invest in developing its existing employees, say through training programs aimed at honing the technical skills of the developers rather than hiring a developer who has the same technical skills. A well-designed worker development program that focuses on not just the technical advancement but also individual development can result in strategic motivation. Providing employees with an engaging professional environment full of future opportunities for growth and development is an effective way to increase employee satisfaction at work. In a gig economy, the employees frequently need to juggle a number of different roles. In a traditional setup, the employees are seen as valued members of the organization rather than just a means to an end. Providing employees with a strong sense of purpose at work adds meaning to the tasks performed and increases productivity. Optimize the communications channels at work, foster and nurture healthy work relationships among the employees, and ensure positivity in the work environment, and you can effectively increase the chances of retaining talent within the company. The trick of avoiding losing employees to the gig economy is to provide them with all the offerings that working on a temporary basis can’t. Money is an important motivator, but the feeling of doing meaningful work with ignited, like-minded professionals in a productive environment is much more important to the current generation. Change is the only constant in life. Steer clear of stagnation in work life by providing the employees with unique challenges and novel work opportunities. In this day and time, no employee wants to get stuck doing mundane, repetitive tasks. The boredom that results from doing work that is not challenging is a major motivator for employees to get out of traditional job roles and making the switch to working on freelancing gigs. The key to retaining talent within your organization is keeping them on their feet constantly. Provide the employees with new opportunities that give them a chance to move out of their comfort zone and test their talents. This not only provides them with horizons to grow and excel but also can help you to tap into previously unknown skills of your existing workforce. When talking about competing with the gig economy and retaining talent within your organization, the best plan of action is to provide your employees with everything that freelancing can’t offer. Employees who are satisfied with the work they do and the benefits they receive in return are unlikely to make the switch to temporary gigs instead of the rewarding work they get to do on a full-time basis. Rahul Varshneya is the co-founder and president of Arkenea and Benchpoint. Varshneya has been featured as a business technology thought leader in numerous media channels, such as Bloomberg TV, Forbes, HuffPost, and Inc., among others.